One more summer card. I'll switch seasons with my next post, I promise. Kecia Waters on the blog today, sharing a one layer mermaid card using the AJVD stamp set "Seas the Day", designed by Whimsie Doodles. I stamped the mermaid image from "Seas the Day" with Memento Tuxedo Black ink onto X-Press It cardstock. I then stamped the image onto masking film to create a mask. 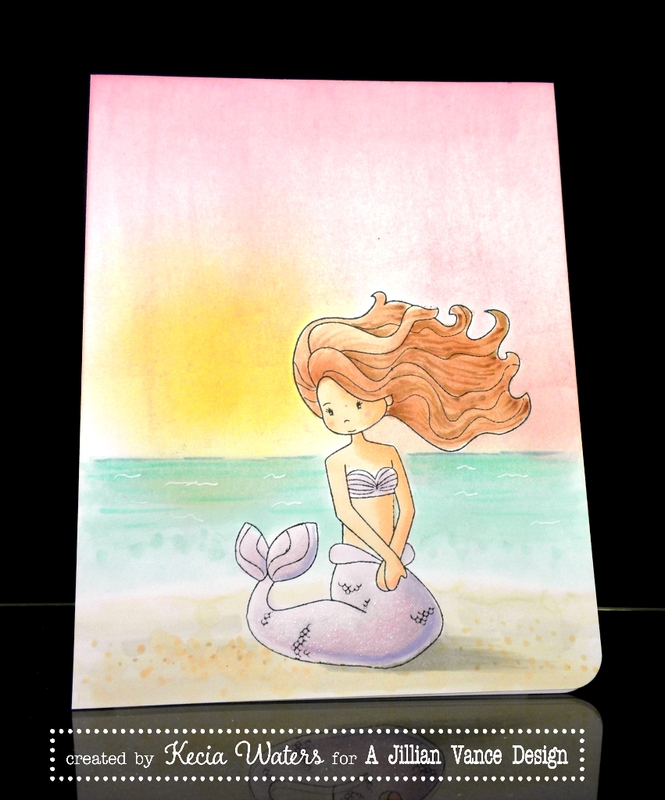 To make the sky, I brayered SeaShells Seashell Pink dye ink onto the cardstock. I then sponged SeasShells Conch Shell dye ink or the sun. The ocean and the sand were colored with Copic markers. 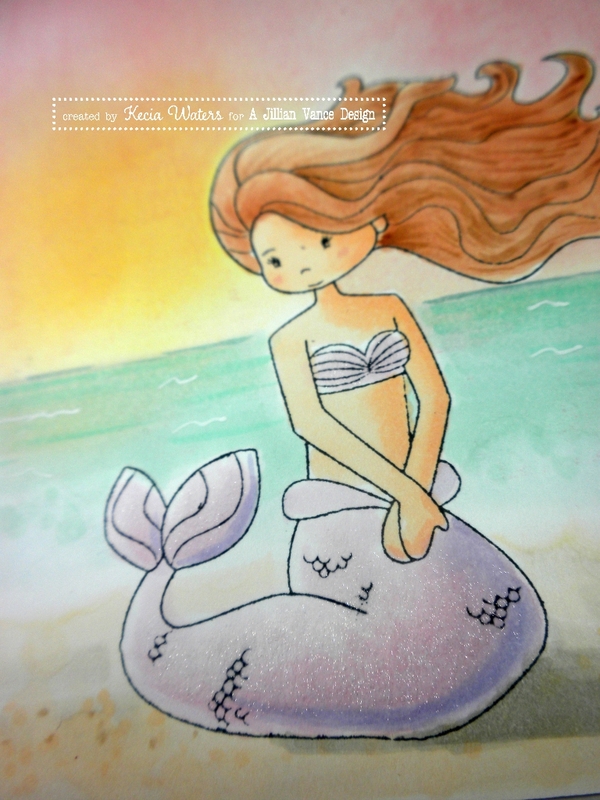 I removed the mask, and then colored the mermaid with Copic markers. A little bit of clear Wind-of-Stella adds a bit of sparkle to the mermaid. Thanks for visiting the AJVD blog today, and thanks for letting me hang on to summer just a little bit longer! Gorgeous card! Love that background you created! So soft and sweet Kecia.